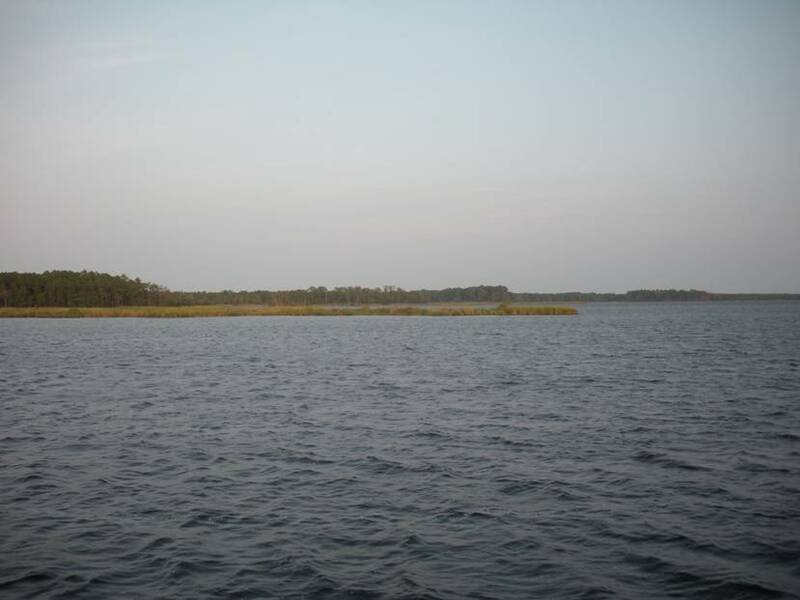 We spent the day motoring up the Inter Coastal Waterway – boring. One and a half days of motoring to Elizabeth City, then a day and a half there then and then another day to Norfolk and finally the Chesapeake. At the Chesapeake our plans end. We really aren’t sure where we’ll be stopping, we’ve just started to do our research. We are anchored in what appears to be the middle of nowhere. No houses in sight, the only sign of civilization are some telephone poles and an internet connection via my air card. No cell phone coverage yet – hopefully Friday. Here is one view from our boat – other directions aren’t much different. Should we have internet tomorrow I’ll tell you how boring the next leg was, otherwise it will be Friday before the next update where I’ll tell you how boring 2 days of motoring was.